Good job, on time and convenience price. Easy to do business with you. Nice work on replacement glass installation. Very friendly and personable. We are very pleased with the service and will only use Glass Doctor of Lexington for future repairs. 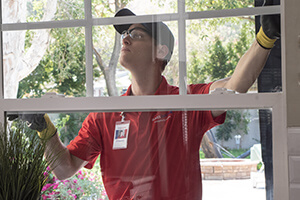 Your people were very friendly and did a great job on my windows. Thanks again for all your hard work. Tim H.